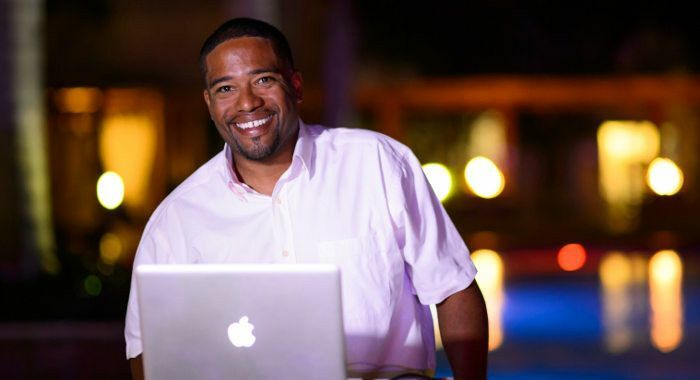 DJ TINO is an, Aruba-based DJ service that specializes in wedding events. DJ TINO has years of experience in the industry and provides his services to over 150 weddings per year. DJ TINO is a part of Cyclone Promotions, which was established in 2005 and is now one of the most popular professional DJ and MC entertainment services on the Island of Aruba. DJ Tino was PHENOMENAL. 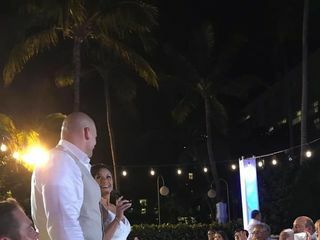 We got married at Renaissance Island on November 17, 2018 and DJ Tino played music for both our ceremony and our reception. My now-husband and I are extreme procrastinators and sent DJ Tino a list of our ceremony songs and corresponding mp3s (we edited some instrumentals we wanted to walk down the aisle to) literally a couple of days before the wedding. Because we were so late, we didn't get a chance to meet with him and whatsapped with him the morning of the event. And despite all this, the ceremony was absolutely PERFECT. 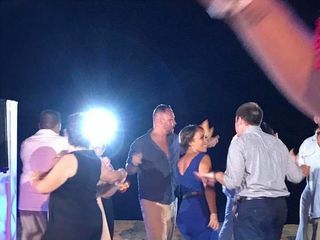 I was expecting chaos because of how scatterbrained my husband and I were, but DJ Tino's performance was seamless and exactly what we envisioned. The reception entailed a full dance floor and the guests were constantly coming up to us during the reception saying, "This DJ is amazing!" His music choices kept everyone on the dance floor, plus every song the guests or we requested was played one or two songs later. About 3 hours into the reception, DJ Tino conducted our Hora Loca (basically when the party ramps up many notches, it's like having Carnival during the reception) -- the bridal party distributed hats, sunglasses, boas, beads, christmas tree tinsel (lol), etc, and it was so much fun and a great way to revive any tired guests (although our dance floor was already packed anyway). I think the best thing about Tino is that he's so likable and a lot of fun. He's a consummate professional and at the same time the type of person you want to party with. If we ever get that many people to meet up in Aruba again, we'd throw a party and hire DJ Tino in a second. It was with great pleasure to have DJ and MC for your wedding night, your review is with all the details and on the dot what we provide. Your family and friends have so much good vibe that we had to bring the wedding party to the next level. DJ Tino was beyond awesome! After doing my research & reading all the reviews on different DJs I knew that I had to have DJ Tino at our wedding. Of course when having a destination wedding there are things that you hesitate about, but DJ Tino always told me don't worry & that he had us covered & that is exactly what he did! He had everyone up dancing the whole time MC'ing & playing old school & new school (literally everyone was dancing in between courses & eating while they were dancing). He gave us exactly what we wanted, he played every song on our playlist & he didn't miss a beat. Our guest ranged from 20-80 (yes even the 70 & 80 year olds were put on the dance floor dancing) & he played music that everyone was enjoying. Thank you Tino for being apart of our special day & helping us create the event of a lifetime! You were amazing!